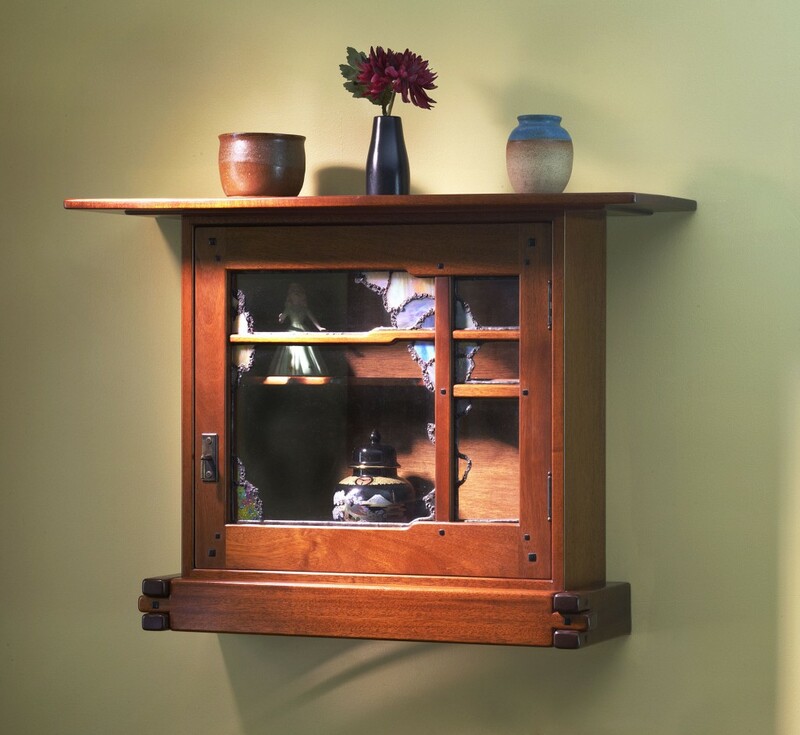 Our Signature Piece, this Greene & Greene wall cabinet is in stock and ready for shipping to your home. This design was inspired by the wall cabinet in the Thorsen House dining room. 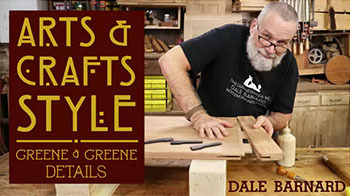 Many of the unique features the G&G brothers are famous for are incorporated into Dale's design. The handle is custom made. The cabinet is completed, as you see, with stained glass, etc. Designed to be screwed to the wall studs, at whatever height you prefer. Included is a finished strip of mahogany to hide the screws.